Bay Colony is an exclusive beach-front community within Pelican Bay, adjacent to the Ritz-Carlton. 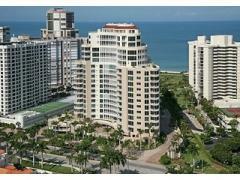 Bay Colony is home to some of Naples's finest condominium towers including the Remington and Windsor. All residents of Bay Colony enjoy a membership to the private Bay Colony Beach Club and are eligible for a membership to the Bay Colony Golf Club.